Welcome to the edited transcript of the Mieza Book Club’s latest meeting; for more information about the club, please follow the link above. At our last meeting, we read chapters 5 – 10 of Orestes: The Young Lion. It seems we enjoyed chapter ten so much we read it again for tonight. It definitely wasn’t because the club secretary forgot that we didn’t need to, and advised everyone accordingly. Moving quickly on. The club met at 7:30pm in the Golden Lion pub garden. Members were asked if they had their copies of Orestes: The Young Lion with them. For the third week running, Amyntas of Pella and Amyntas of Aegae didn’t, so were voted by a show of hands to be tonight’s designated drivers. Amyntas of Pella sulked. Yet again. Before I finish, Seleucus, the club president has asked me to make you aware that the transcript contains ‘spoilers‘. This is not a term I had heard of before as I do not often use the world wide web but I gather it means that we reveal elements of the plot. You have been warned! So, Ten to Nineteen. What powerful chapters they were! Three weeks ago I commented on how Ms Gill portrayed the death of Iphigenia; as I recall, it happened very suddenly. Well, for me, so did the death of Hippasos [Chapt. 13 – CS]. There I was reading the book in my room, I had settled into a nice rhythm of reading when BANG. He was dead, and I was dumbstruck. Please remember to use the Oxford comma when you write that down, Peucestas. I saw it coming. Or, at least, thought I did. When the king bull started to charge, I thought, “Hullo, Alastair, this lad’s for it’; but then, he got up, and I thought, ‘Ah, Laura Gill fooled you there’. But then, the blood ‘blossomed’ – what a great choice of word! – on his tunic and he collapsed and died. Ms Gill fooled me twice in one minute. Good show. Theban Al, you are right; I think I had got lazy and was not paying proper attention to what I was reading. Well, that scene certainly woke me up if so. My abiding memory of chapters ten to nineteen will be the way in which Ms Gill weaves in the events of The Iliad – from the references to Agamemnon taking Briseis and the consequences thereof to the wooden horse and the destruction of Troy at the end. I thought she did jolly well, there. It must be very difficult writing well known historical events into a book without making them appear shoehorned or somehow false. Leaving aside the issue of The Iliad‘s historicity, and the fact that the wooden horse is not in Homer’s poem, I agree. Like Orestes, though, I wish we had been permitted to see more of Agamemnon in, what, chapter nineteen [Meleagar is correct – CS], before he got killed. Instead, there was his ‘barrel’ chest and then, oh, he’s dead. Bear in mind, old boy, that we were seeing the events unfold through Orestes’ eyes. In effect, we are hidden in the privy with him; if he sees little, therefore, so do we. I don’t think the story would have suffered if Ms Gill had given us a detailed description of Agamemnon but I think the fact that she didn’t gives the narrative greater authenticity – within the obvious limits. As soon as Leonnatus said this, Seleucus called for a vote on whether he – Leonnatus – should indeed be allowed to take the conversation in a different direction. Strictly speaking this vote was uncalled for as Leonnatus was plainly just being polite but he took the vote in good spirits; the members voted unanimously for Leonnatus to do as he wished. Thank you, all! Well, what I was going to say was that the two major deaths aside, I was most taken by the earthquake. It had a relevance both within the book and beyond – for wasn’t it an earthquake that eventually destroyed Mycenaean civilisation? Everyone looked round at one another; wine and beer was drunk and pipes lit. 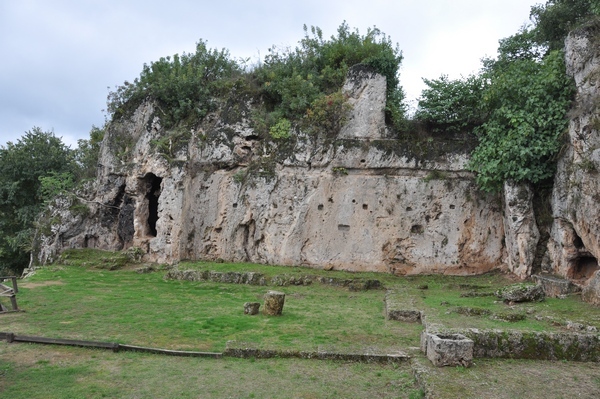 With no one being knowledgeable about the history of Mycenae, and with mobile phones and iPads/other tablets being banned from use during club meetings we could not check up to see what did happen to Mycenae. I think I am right; I hope so because when historical novels coincide with historical events, in my opinion, that gives them an extra depth, and in this case, poignancy. Depth! Oh very good, Leonnatus, very good! That is the word I was looking for. I found depth in the coming together of myth and reality. Well, I have to be careful here. In this book, there is no myth. Our myth is their reality so like you I am speaking as a reader not from within the book, so’s to speak. Anyway, what I was thinking of was the way Ms Gill not only references – or gives us – Agamemnon, Achilles, and Odysseus who are real people within the context of the story, but also Jason and the Argonauts who for me are not [real people – CS] even though within the story they are. Does that make sense? Oh dear. I fear I have confused everyone. Not at all, old chap, I think I know what you mean. Agamemnon is ‘real’ because he is Orestes’ father, therefore is very close to the reality of the book, which is Orestes’ story. Jason doesn’t feel real because he is of the past in terms of Orestes’ narrative. When he gets referenced, therefore, it gives the story greater depth because we – or rather, Orestes – are stepping outside reality and into the past. It’s really just the same difference between you telling me about your immediate family and then your great grandparents. The former gives you a certain depth to me, while the latter increases it because I enter more deeply into your identity. Harpalus’ ability to untangle Theban Al’s thought was commended by Seleucus and he (Harpalus) was voted an extra beer from the kitty. We have had an interesting discussion this evening. Before bringing it to a close, I should like to raise a couple more points. Firstly, as you all know, I am rather a fan of Top Gear – don’t laugh Amyntas of Pella – so I have to say that I rather liked the chariot scene in Chapter Eleven. It is no Bugatti Veyron, and it was good to read a little about how difficult they were to control. Take that, Ben Hur! Also, in the same chapter, Orestes confronts Aegisthus’ spy Euryalos; I read this chapter to my father who, as you all know, is blind. He asked me to tell you that the spy-scene put him in mind of le Carré whom he adores. That’s splendid, Peucestas; give your father our best, he is a good man. I’ll never forget the help he gave me in my first year. All the members shouted hear hear and thumped the table with their beer glasses. A vote was taken on how good Peucestas’ father was, and it was declared that he was the best of men. You are all awfully kind, awfully kind; I must say, though, that father did not have much time for Euryalos. ‘George Smiley would have had him out of the Circus in no time!’. Laughter of members, pipes lit. As I started the meeting, I will finish it. I would like to vote for porena being the Word Of The Night. I had no idea that the Mycenaeans kept slaves for the specific purpose of being sacrificed. Well, that may just be Ms Gill’s invention but it is a chilling idea. Imagine living in the knowledge that one day you would be killed! Horrid. However, I must say that I am glad that they have been included; I can’t remember if we said this before, but we should not shirk from the fact that Orestes – or whoever the real Orestes was – lived in an age that to us would have been a very dark and primitive time. Maybe – just maybe – we will head back there one day; isn’t it a concern that if we ever clone humans we might use them to provide us with spare limbs and what not. That would make a good film. It already has, Theban Al, it was called The Island. I concur with what the President said, though; I’m glad that Ms Gill has not avoided those horrible aspects of the past. Of course, we don’t need it in our faces but neither should we pretend that it is not there. The members relit their pipes and drank their beer and a vote was taken on the Word of the Night. Porena was approved. A second vote on Scene of the Night. Rather surprisingly, this was won by Agamemnon’s death scene on account of his final words, ‘Orestes… avenge…’ which set up not just the rest of this book but the next book as well. Mieza. Did Alexander kiss Hephaestion here? In between of reading and studying, very likely. 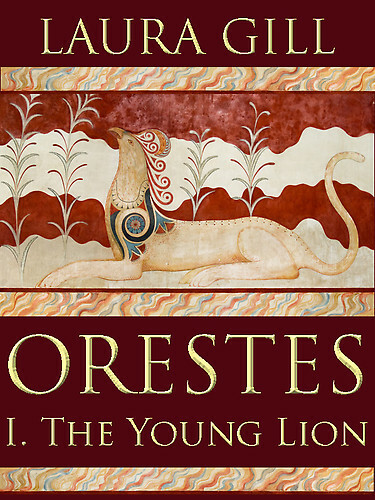 Orestes: The Young Lion is available to buy in various formats. Here it is at Amazon.